Welcome to the September 27, 2017 edition of ACM TechNews, providing timely information for IT professionals three times a week. A joint U.K.-Russian research team has demonstrated the use of quantum particles called polaritons, combining light and matter, to solve complex problems. The researchers say this design could serve as a platform for a new type of supercomputer. Polaritons are generated by targeting a laser at stacked layers of selected atoms such as gallium, arsenic, indium, and aluminum. The electrons in these layers absorb and discharge light of a specific color, and polaritons are 10,000 times lighter than electrons and may achieve sufficient densities to cohere into a new state of matter in which their quantum phases synchronize and produce a single macroscopic quantum object that is detectable via photoluminescence measurement. The researchers applied this scheme to an optimization problem, specifically the minimization of the XY model. They subsequently demonstrated that as polaritons condense, their quantum phases configure themselves into an arrangement corresponding to the absolute minimum of the objective function. Researchers at the Delft University of Technology and the Netherlands Organization for Applied Scientific Research say they have engineered a control methodology for fault-tolerant quantum computing based on eight quantum bits (qubits) with a fixed set of control hardware. The researchers say this basic module can be replicated to large arrays of qubits, without any increase or revision to the control hardware. The technique makes qubit error correction and logical operations possible on any number of qubits. By copying and pasting the eight-qubit building block on a chip, the same single control system can guide any number of qubits individually and execute the gates required for quantum error correction. The researchers say this enables quantum computer coders to perform quantum algorithms on an unlimited number of qubits. The team plans to apply this process to produce a 17-qubit quantum processor with error correction, which they say would result in an unprecedented number of qubits with both individual control and error correction. Several of the biggest U.S. tech firms on Tuesday pledged $300 million for computer science education, to be distributed over five years, in partnership with the Trump administration, following a White House initiative to channel federal money into teacher training and resources that fortify science, technology, engineering, and math (STEM) education. President Donald Trump on Monday authorized the U.S. Department of Education to commit $200 million in grants toward computer science education. Several of the companies involved in the effort to partner with the Trump administration have long championed boosting computer science education in schools, which they say will help keep the U.S. competitive with other countries. Ivanka Trump, who is organizing the effort for the White House, says, "Computer skills and coding is relevant and foundational for every sector and every industry across the economy and tech is increasingly the way we work." China' TianHe-2A supercomputer will employ a proprietary Matrix-2000 accelerator and a proprietary network, and will support OpenMP and OpenCL, according to a report from Rice University professor Jack Dongarra. "When fully integrated with 4,981,760 cores and 3.4 PB of primary memory, [TianHe-2A] will have a theoretical peak performance of 94.97 petaflops, which is roughly double the performance of the existing TianHe-2 system," Dongarra says. TianHe-2A's predecessor ranked highest on the Top500 list of the most powerful supercomputers in the world in 2013, and it maintained that ranking until 2016 when China's Sunway TaihuLight topped the list with a LINPACK benchmark of 93 petaflops. Dongarra notes the TianHe-2A is one of three prototype exascale systems in China. He also says the upgrades to TianHe-2 required the design and deployment of a heterogeneous computing software stack for the Matrix-2000 accelerator. Dongarra notes the accelerator was designed by engineers at China's National University of Defense Technology, and "they did not want to have the manufacturing process disclosed." Akira Furusawa and Shuntaro Takeda at the University of Tokyo in Japan say they have developed the "ultimate" quantum computing method. Their technique's core element is a basic optical quantum computing system that employs photons as quantum bits (qubits), created in 2013. The machine can only accommodate one light pulse, and boosting its capabilities typically entails linking several such devices together. However, Furusawa and Takeda circumvented this by making one machine handle multiple light pulses via a loop circuit. Theoretically, multiple pulses laden with data could traverse the circuit indefinitely, enabling the circuit to execute multiple tasks and to switch from one task to another via instant manipulation of the pulses. Furusawa and Takeda say a single circuit of theirs can accommodate more than 1 million qubits, and Furusawa says the next phase is "to develop the hardware, now that we've resolved all problems except how to make a scheme that automatically corrects a calculation error." European Union-funded research has yielded a graphene-based device in which electron spins can be injected and detected with record efficiency and at room temperature, opening up possibilities for applications that use spin-based logic and transistors. A 100-fold increase in spin signal was realized from the interaction between a bilayer of one-atom-thick graphene and a boron nitride insulator incorporated into the device. The boron nitride layer was deposited atop a silicon semiconductor. "We found that using a two-atom layer of boron nitride resulted in a very strong spin polarization of up to 70 percent, 10 times what we usually get," says University of Groningen professor Bart van Wees in the Netherlands. The researchers say the signal was amplified by a factor of 100 when a similar 10-fold boost in spin detection was observed. A surprising finding was that voltage could intensify spin polarization, counter to the prevailing theory that only ferromagnetic material could increase polarization. Colleges and universities are aggressively courting more women to pursue degrees in science, technology, engineering, and math (STEM) in order to address a profound gender gap in these fields and in the STEM workforce. "Those gaps aren't going to close themselves without some commitment, some effort, and some resources," says the American Association of University Women's Kevin Miller. Although women comprise more than 50 percent of students on U.S. college campuses, federal data estimates they only receive about two of every 10 degrees in scientific disciplines. An analysis of U.S. Department of Education data found women as a share of STEM degree recipients at the bachelor's level and higher increased at nine of the 10 largest such programs between 2012 and 2016, and six currently award at least 33 percent of those degrees to women. Columbia University's approach includes hosting more events for aspiring female engineers, and enabling teenagers to interact with faculty and college students. Pennsylvania State University professor Gang Tan and colleagues have been awarded two research grants to develop language compilers and runtime systems to leverage modern memory features. 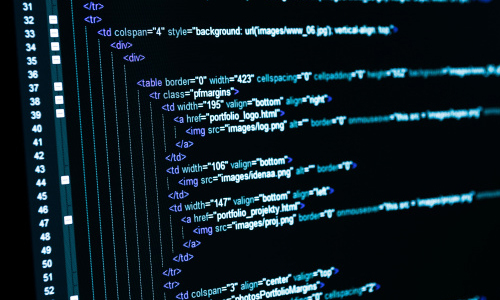 The technology would enable programmers to employ several modern memory features, including encrypted memory, transactional memory, and scratchpad memory. The grants, from the U.S. National Science Foundation's Computer Assisted Programming for Heterogeneous Architectures (CAPA) initiative and the Office of Navy Research (ONR), will support the researchers' Semantics-Directed Binary Reverse Engineering and Transformation Validation project. "In terms of importance, the CAPA project allows my group to explore the design of a new language interface for programming modern memory features such as encrypted memory, recently included in Intel [central-processing units]," Tan says. The ONR grant will support Tan's research in binary-level reverse engineering. "We plan to construct a reverse-engineering tool that makes it easy for principled exploration of the design space of reverse-engineering algorithms," Tan says. Microsoft is integrating traditional programming languages into a new language that could be used to code instructions for quantum computers. Microsoft's Michael Freedman is attempting to build both hardware and software for a "topological quantum computer." To accomplish this, Microsoft says Freedman has enlisted "some of the world's preeminent condensed-matter and theoretical physicists, materials scientists, mathematicians, and computer scientists." Although Microsoft also is concentrating on the quantum system's development, the company is issuing the programming tools for developers and computer scientists so coders can become familiar with them. The programming language will enable users to model problems demanding up to 30 logical quantum bits (qubits), while enterprise customers get 40 qubits of power. "Developers without quantum expertise can actually call quantum subroutines, or write sequences of programming instructions, working up to writing a complete quantum program," Microsoft notes. In an interview, Stanford University professors Michael McFaul and Dan Boneh discuss the purpose of the Stanford Cyber Initiative, which they co-direct. McFaul says the initiative is part of a broader effort to define security, governance, and work policies as they evolve under the influence of new technologies, and to address the innate challenges. "We want to see more computer scientists interacting with social scientists, lawyers, and even philosophers, as there are many ethical and moral issues that need to be addressed," McFaul notes. Boneh says the initiative's cybersecurity concentration has grown to include economic and work implications and election systems, in addition to computing technology. He also notes an interdisciplinary focus is essential, because "you cannot do policy without understanding technology and effective technology needs to understand the policy implications." McFaul agrees and says this model extends to student education, as the university is grooming next-generation cybersecurity leaders. 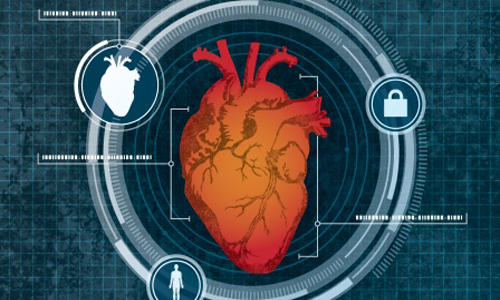 Researchers at the University at Buffalo (UB) have developed a computer security system that uses heart dimensions for identification. UB professor Wenyao Xu says the system measures the heart via low-level Doppler radar, continually monitoring the organ to ensure no unauthorized party uses someone else's computer. Xu notes the radar presents no health risks, as its signal strength "is much less than Wi-Fi." He also says the system is unique compared to other heart-based biometrics systems because "no one has done a non-contact remote device to characterize our hearts' geometry traits for identification." 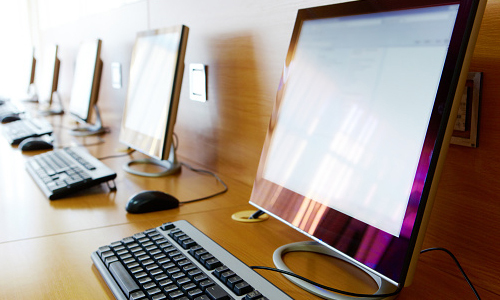 The system not only eliminates the need for user login authentication, but guarantees the computer will not function for someone else, making logging off unnecessary. "We would like to use it for every computer because everyone needs privacy," Xu says. The work will be presented next month at the ACM International Conference on Mobile Computing and Communication (MobiCom) in Snowbird, UT. 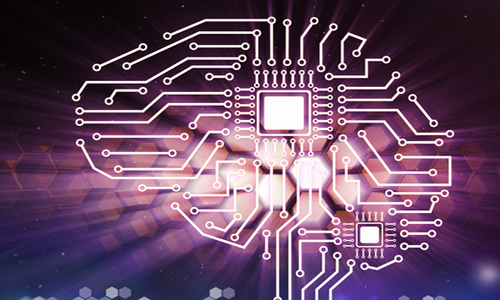 Researchers at Intel have designed Loihi, a prototype neuromorphic chip modeled after the human brain with "neurons" that can adapt to new tasks over time by adjusting the links or artificial "synapses" between themselves. "We're trying to get better at understanding things that are happening in a natural environment," says Intel's Michael Mayberry. He notes the way Loihi learns will make it more adaptable than previous systems. Intel also says testing demonstrated that Loihi can handle video interpreting and similar tasks with much greater energy efficiency than conventional chips. Loihi's neurons and synapses serve as both processor and memory, which makes the need to shuttle data back and forth between separate processor and memory modules redundant. Mayberry says the first full version of Loihi, equipped with 130,000 neurons, will be manufactured in November, with testing by academic and research institutions scheduled for next year. Researchers at Columbia Engineering's Creative Machines lab have developed a three-dimensionally (3D)-printable synthetic soft muscle with innate expansion ability that does not need an external compressor or high voltage equipment, which is seen as an important step toward untethered and lifelike soft robots. The tissue's strain density is 15 times greater than natural muscle, and it can lift 1,000 times its own weight. The researchers employed a silicone rubber matrix with ethanol distributed in micro-bubbles, integrating the flexibility and extreme volume change of other material systems while also being easy and inexpensive to manufacture. 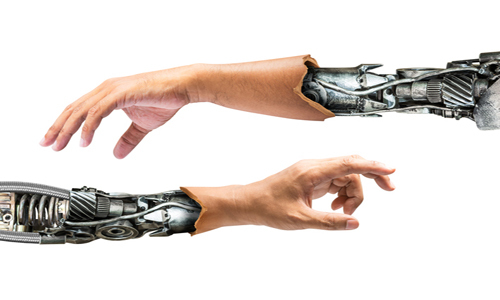 After being 3D-printed, the artificial muscle was electrically actuated with a thin resistive wire and low power. The team says the autonomous unit is capable of performing motion tasks in almost any design. "Like biology, the new actuator can be shaped and reshaped a thousand ways," says Columbia professor Hod Lipson. "We've overcome one of the final barriers to making life-like robots."